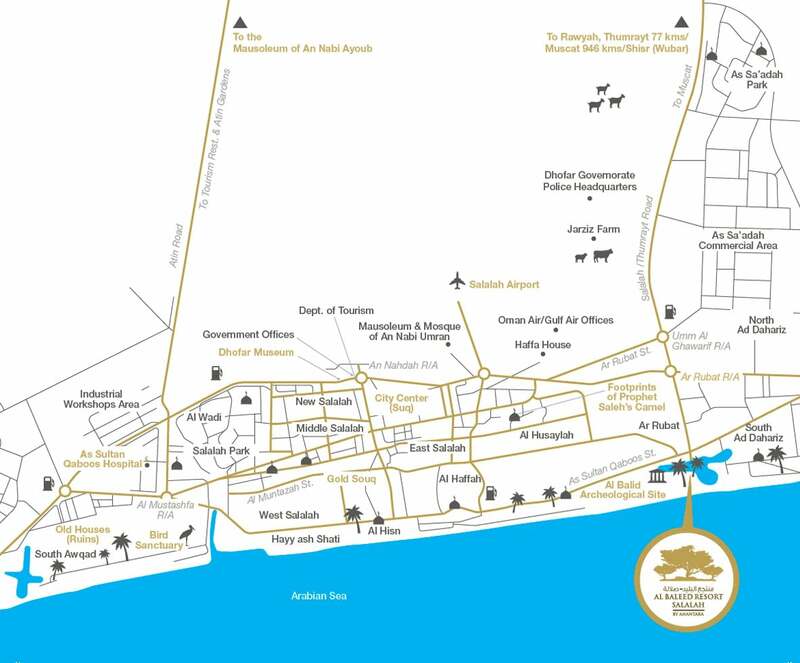 Our beachfront resort sits on Oman's southern coast, overlooking open Arabian Sea. The traditional capital of Dhofar, Salalah is known for its beautiful beaches, frankincense history, and UNESCO World Heritage Sites. Salalah International Airport is a 15-minute drive from the resort, with direct flights from Muscat, the UAE, Jeddah and Doha. Ease your journey from the airport with a 15-minute limousine transfer, available upon request with 48 hours’ advance notice. Salalah is 9 hours' drive from Muscat, and 12 from the UAE. If you are driving from the UAE, please note that your passport will be checked at the border crossing on both sides. You will need to purchase additional insurance cover through your car hire agent if you want to take a UAE car into Oman (and vice versa).